Sofia Hotel Balkan was built in 1956 as part of a new architectural trend a fusion of classical design and lavish décor, redefining the concept of space. The iconic building of Sofia Hotel Balkan is part of the President’s Palace complex and beneath its foundations lies a historical Roman fortress, the remains of which can be seen all around the hotel. 24 hour concierge service, butler service, laundry and dry cleaning available seven days a week. 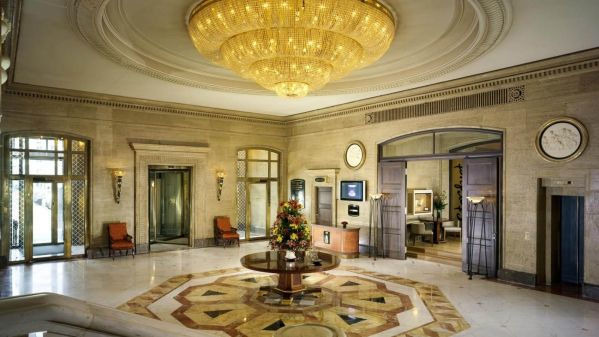 Luxury Collection Concierge who will guide you during your stay. 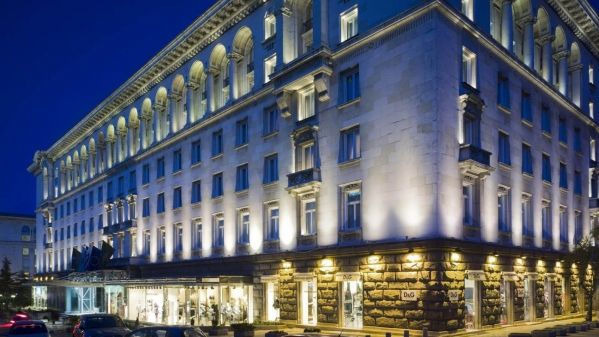 Enjoying a privileged location in the heart of Sofia, next to Serdika Underground Station, the exclusive Sofia Hotel Balkan offers free access to the on-site casino. 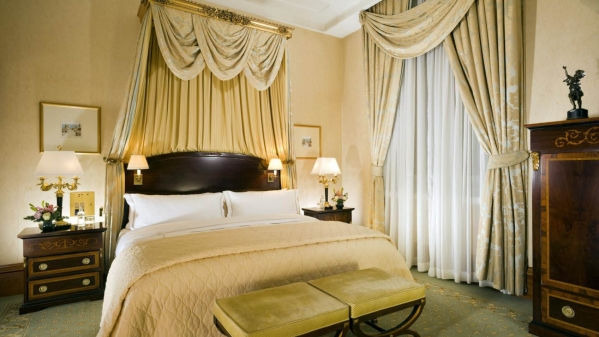 Archways of ceiling-high columns, distinctly constructed doors and moldings, and imported Italian marble floors outline the lobby of the Sofia Hotel Balkan. 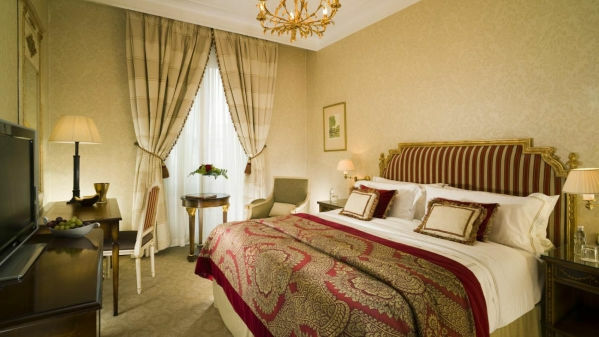 Located in the heart of Sofia, the hotel is ideally situated. 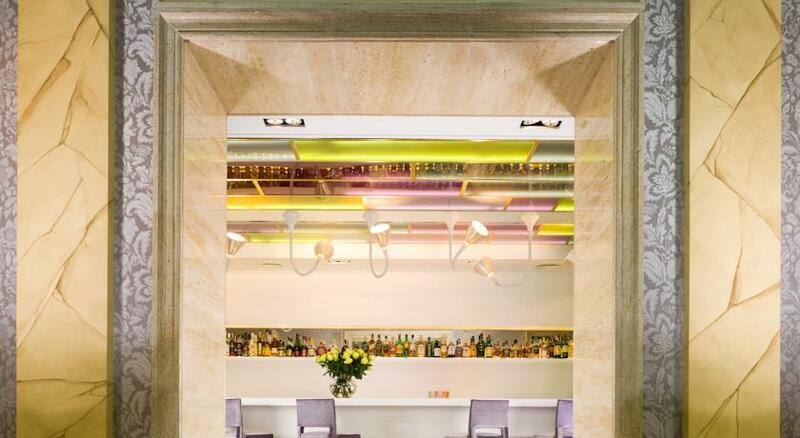 Sofia Hotel Balkan was built in 1956 as part of a new architectural trend: a fusion of classical design and lavish décor, redefining the concept of space. The iconic building of Sofia Hotel Balkan is part of the President’s Palace complex and beneath its foundations lies a historical Roman fortress, the remains of which can be seen all around the hotel. The hotel is located 10 minutes walk from Sofia synagogue. 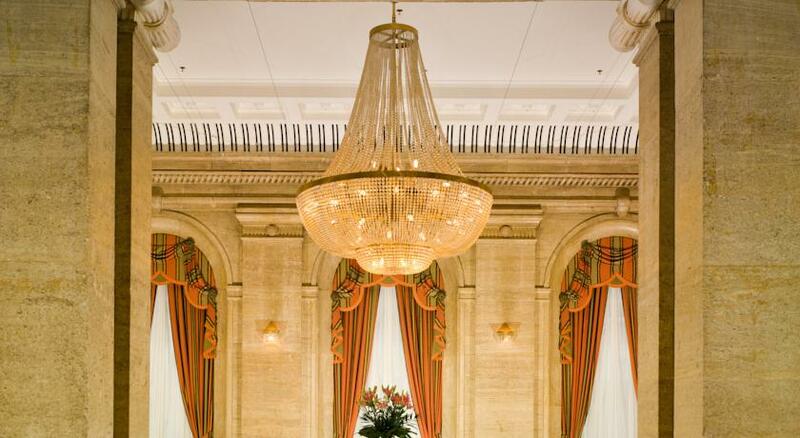 With impressive high ceilings, Classic Rooms invite guests to a peaceful retreat in the city’s beating heart. The natural daylight together with the warm cream shades create an alluringly chic atmosphere. The Sofia Synagogue is the largest synagogue in Southeast Europe and the third largest in Europe. It is one of two synagogues still active in Bulgaria (Plovdiv) and in 2012 the rabbi is Bechor Kachlon. Sofia is the capital of the Balkan nation of Bulgaria. It’s in the west of the country, below Vitosha Mountain. The city’s landmarks reflect more than 2,000 years of history, including Greek, Roman, Ottoman and Soviet occupation. Step towards the Archeological Museum and explore Sofia following the famous Yellow Brick Road. In 1893 Ferdinand I of Bulgaria married the Princess Marie of Bourbon, and as a wedding present the Austro-Hungarian Empire paved the streets with lemon-coloured tiles. 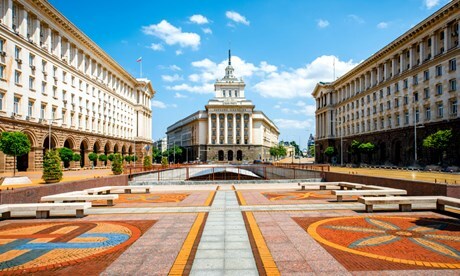 The route through the National Palace of Culture and Sofia’s shopping hub, showcases the city׳s vibrant personality. Sofia’s largest and oldest open market stocks spices from from around the world. Vitosha Mountain National Park: Hike past Zlatnite Mostove’s rocky rivers, or jump on Simeonovo’s cable car to enjoy some skiing and views over Sofia. Sofia is the capital of the Balkan nation of Bulgaria. It’s in the west of the country, below Vitosha Mountain. The city’s landmarks reflect more than 2,000 years of history, including Greek, Roman, Ottoman and Soviet occupation. Medieval Boyana Church has 13th century frescoes. Built by the Romans in the 4th century, St. George Rotunda Church has medieval and Ottoman decoration dating to the 10th century. Step towards the Archeological Museum and explore Sofia following the famous Yellow Brick Road. In 1893 Ferdinand I of Bulgaria married the Princess Marie of Bourbon, and as a wedding present the Austro-Hungarian Empire paved the streets with lemon-coloured tiles. Continue your exploration through St. Alexander Nevski Cathedral, Sofia s famous symbol and the largest cathedral in the Balkans. With an outstanding golden dome, this magnificent Cathedral was built in 1882 and commemorates Bulgarian soldiers who gave their life for national freedom. Name of the restaurant is Vkusove tastes. The restaurant serve a verity of dishes like meats, falafel, hummus breakfast and more. Supervision of chief rabbi Joseph Salomon. Sunday to Thursday from 09:00 to 22:00 and Friday until 16:00. Distance to the hotel is about 13 km. Private car service, day rate: 35 EUR; night rate: 49 EUR (22h-6h), 24/24. Metro number 1 connect the airport with city central its about 20 minutes travel you get off in station called Serdika and it’s a few minutes walk to the hotel. Take Tzarigradsko Shose Boulevard and continue past the University of Sofia. Take Tzar Osvoboditel Boulevard until coming to the Largo. Continue straight towards Sveta Nedelya Square. 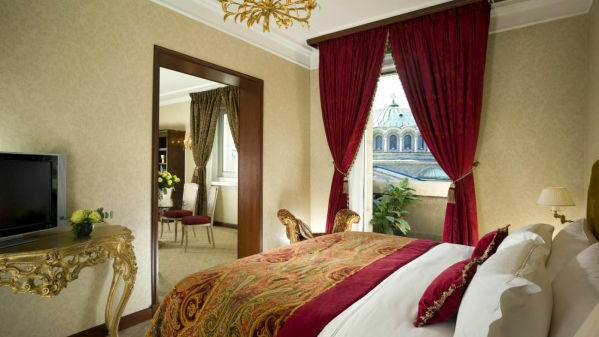 The hotel will be on the side of the Sveta Nedelya Square.